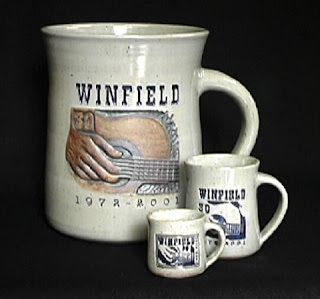 This was the 30th Anniversary 2 gallon mug made in 2001. It was the first benefit auction used to raise money for 9/11 victims. The hand and guitar were Jim's. How. An one purchase some of your work if there not a local. Please email me elise372004@yahoo.com.